I do believe that since I last wrote the United Kingdom has entered something of a political crisis in the fall out from the European Union Referendum. First of all, it has revealed that the EU actually aroused a great deal of emotional energy, both positive and negative, in the nation, and that we’re deeply divided about the institution and the issues. Nigel Farage said beforehand – anticipating an “in” vote – that a 52/48 result would be unfinished business; and although the vote turned out the other way around, there are many who feel it is exactly that now – unfinished business. Since then, the Conservative Party and the Labour Party have both become embroiled in leadership contests full of twists and turns, and precious little leadership is being given to the nation, or consideration as to how to plan the way ahead. Where does the Christian stand in all this? Well, both clergy and laity (just scanning Facebook) have strong opinions on either side of the debate, like the nation. We therefore have to model good disagreement with one another: avoiding personal abuse (which can include derogatory jokes – and I’ve had to refrain a couple of times from sharing posted comments that I found very funny), and seeking to establish debate on fair-minded truth rather than easy rallying cries. I think we also have to act decisively against any change in the national mood which becomes threatening to foreigners – and anyone else for that matter. Sadly, and difficult to admit, xenophobia did play a part in the campaigns and the outcome, and we have seen a rise in insulting and threatening behaviour, even violence, against foreigners since the vote. Even priests in our diocesan family are reporting to me direct experience of racial abuse. One good idea that I hear of is for people to wear in their lapel a simple “safety pin”, to indicate to those who may be feeling vulnerable because of their racial or national background that we are safe to sit with or alongside. Thirdly, I think we must ask politicians to act together for the sake of the future of the nation. That is, in my opinion, too big a thing to be left to leading Brexiteers, or even to one party in government: we need consultation, and possibly even a government of national unity. Finally, and most importantly, we must turn to God in prayer and ask for his power and wisdom to inspire and guide, to renew and to bring hope. God alone can heal decisively our divisions, and we must seek his blessing on the nation. It is hard to believe that Mark Yaconelli’s residency with us in the diocese is drawing to a close. While Mark will not officially be leaving us until August and he has much concluding work to do, it was felt that we needed an opportunity to have an official farewell before many of us are caught up in the holiday season. A service to acknowledge the good work that Mark has been doing amongst us will therefore be held on Sunday, 17 July at 1530hr at St Giles’ Church, Wrexham. It will be an opportunity to celebrate in an act of creative worship all that Mark has shared with us. The service is open to all who would like to attend but I would particularly encourage the whole diocese to support this service. I hope that every area dean / mission area leader will make sure that their area is represented by a good number of clergy and laity at this service. As the service will be of a more informal nature there will be no robing generally required for clergy and readers. 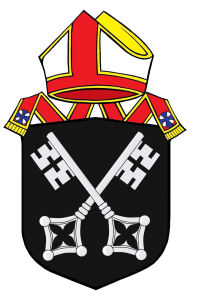 Our second Clergy Synod this year will be held once again in the St David’s Hotel, Ewloe, on Wednesday, 28th September, from 1000hr until 1530hr. A full programme is being prepared, but once again there will be a discussion session centred about questions that may be put to me and others, where appropriate, concerning any issue which affects our common life. More details will be released in the September Ad Clerum, but for now I wanted to draw your attention to the day, and to invite questions which can be put in one of the sessions. I am very pleased to report the engagement of the Revd James Harris to Ms Shazia Jamshed. Shazia lives in West Yorkshire, having come from a Pakistani background, and we send them our congratulations and support as they plan their marriage for October. We send our condolences to Clive Hughes and to Sue, on the death of Sue’s mother, Marjorie Redfearn. This is to confirm and update the contacts given in the last Ad Clerum. Safeguarding concerns or complaints should be referred in the first instance to Elaine Cloke Head of Safeguarding. Her contact details are elainecloke@churchinwales.org.uk / 0292 034 8200 or 07787 244037. If Elaine should be unavailable then the matter will automatically be transferred to Fay Howe Provincial Safeguarding Officer who will deal with the matter. For reference Fay’s contact number is 07551 124219. Wendy Lemon is also now a Provincial Safeguarding Officer and will be based in North Wales. In due course, after a period of induction during the next couple of months, Wendy will deal with complaints or concerns arising in the Diocese of St Asaph as well as the dioceses of Bangor and St David’s. Wendy can be contacted on 07392 391064 / wendylemon@churchinwales.org.uk. Joy Kett is our Safeguarding Support Officer for the Diocese of St Asaph. Joy is responsible for administering the safeguarding programme in the diocese and supporting parishes in training and development for safe ministry. Joy can be contacted on 07881 016186 / joykett@churchinwales.org.uk. Please note these dates in your diary, commend them in prayer, and be encouraged to join us where appropriate. 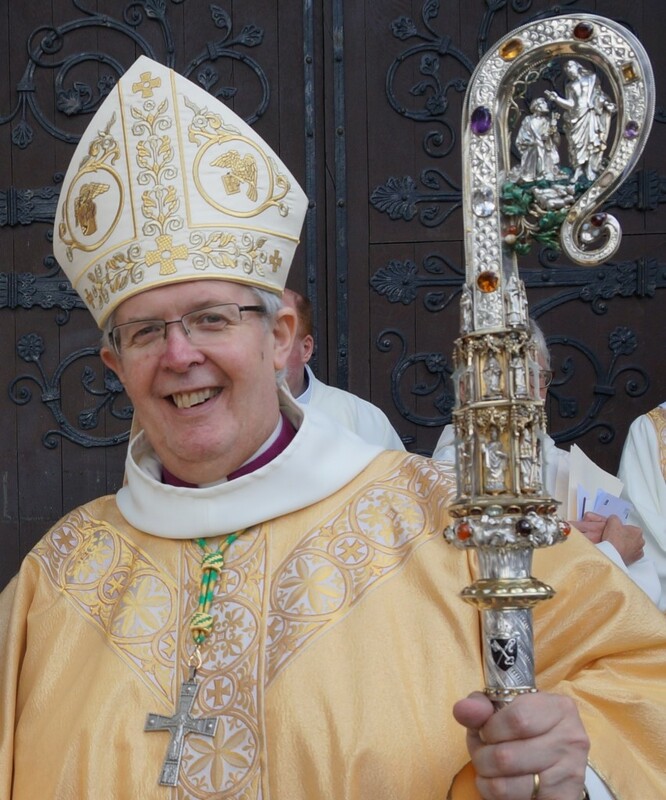 17th July Diocesan Farewell Celebration for Mark Yaconelli, St Giles’ Church Wrexham, 1530hr. 19th July Commissioning of the Borderlands Mission Area, St Matthew’s Church, Buckley, 1900hr. 16th October The Commissioning Services for Caereinion, Tanat and Vyrnwy Mission Areas, with Confirmations. Three services will be held through the course of the day. 17th October Estuary & Mountain (Holywell) Mission Area Commissioning Service, 1900hr, venue to be confirmed. Alzheimer’s Society’s Dementia Friends programme is the UK’s biggest ever initiative to change people’s perceptions of dementia. Dementia touches the lives of millions of people across the UK. Dementia Friends was launched to tackle the fear and lack of understanding that means many people with the condition experience loneliness and social exclusion. We need to create more communities and businesses that are dementia friendly so that people affected by dementia feel understood and included. Whether you attend a face-to-face Information Session or watch the online video, Dementia Friends is about learning more about dementia and the small ways you can help. From telling friends about Dementia Friends to visiting someone you know living with dementia, every action counts. Visit dementiafriends.org.uk to join. A warm thank you to all clergy who supported these events over the last couple of weeks. Although they are large set piece events in different ways, they are an expression of our family life, and it is heartening for the candidates to have the support of the family, and of the clergy of the diocese in both instances. Summer is fast approaching, and I do hope that you will all manage to have some downtime over the holiday period, for rest and re-creation.